William Dale Peterson, Sr., 71, of New Franklin, passed away March 17, 2019 at Pinnacle Hospital in Boonville. Mr. Peterson was born in Campbell, Missouri on August 17, 1947 a son of Edward and Flora Mae Whorton Peterson. He married Sharon Mills on March 22, 1969 in St. Charles. Sharon survives at their home. William was known to his friends and family as Dale or Pete. 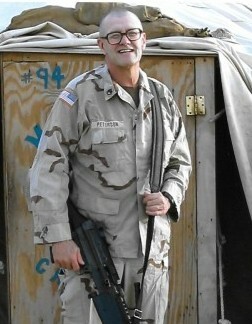 He served his nation in the Air Force and National Guard for 25 years. 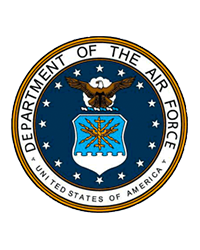 While in the Air Force he was stationed in Germany and had also been deployed to Iraq in 2004 and 2005 during his time in the National Guard. He retired as Assistant Superintendant at Boonville Correctional Center. Dale was a hard worker always providing for his family being a good husband, father and grandfather. He enjoyed sports, reading and fishing. Dale was a member of Open Bible Praise Center in Boonville, The American Legion and the NA Program with Boonville Correctional Center. Survivors include his wife, Sharon Peterson of New Franklin; two sons, William D. Peterson, Jr. of Boonville; James M. Peterson of New Franklin; daughter, Jessica Peterson of New Franklin; brother, Gary Peterson of Kahokia, Illinois; three sisters, Hazel Smith and Sandy Suminski both of Morton, Illinois and Debbie Peterson of St. Louis. Also surviving are his grandchildren, Dallas Nichole, Tyler, Brenden, Isabella and Kaley and his father-in-law and mother-in-law, Bill and Shirley Mills of Patton, Missouri. Visitation will be held from 5-7 PM, Thursday, March 21, 2019 at Markland-Yager Funeral Home in New Franklin. Funeral services honoring his life will be at 11 AM, Friday, March 22 at the funeral home. Burial with military honors will follow at Mt. Pleasant Cemetery, New Franklin. Memorial contributions are suggested to the Wounded Warrior’s Project.